Fantasy Faire 2016 is open! 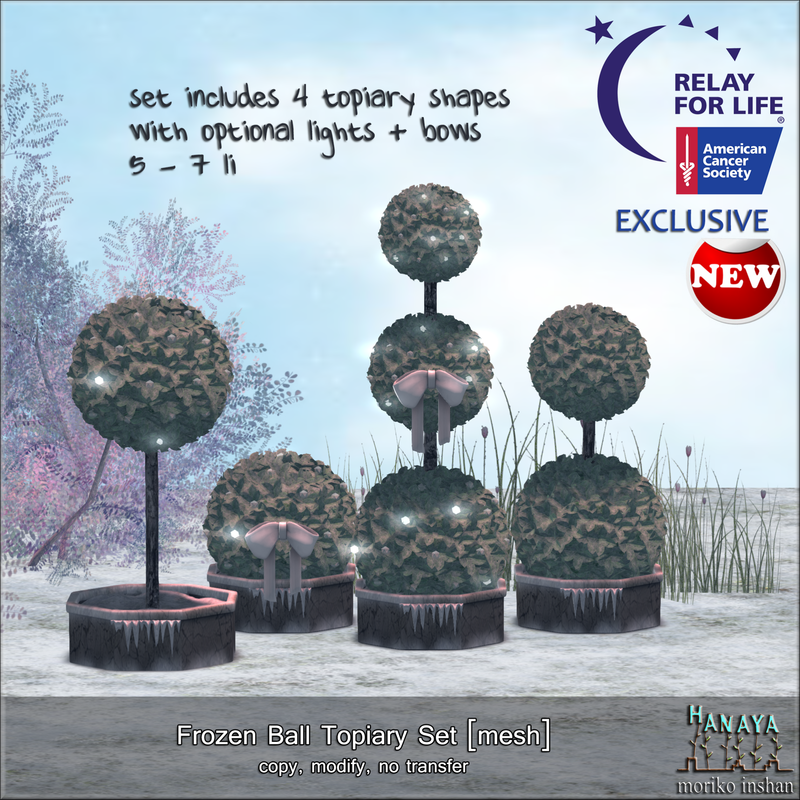 Come visits us at Bright Haven and check out the -Hanaya- 100% donation items that benefit Relay for Life. This entry was posted in Events, Product Announcements and tagged American Cancer Society, charity, donations, Fantasy Faire 2016, Relay for Life, RFL on April 20, 2016 by moriko. 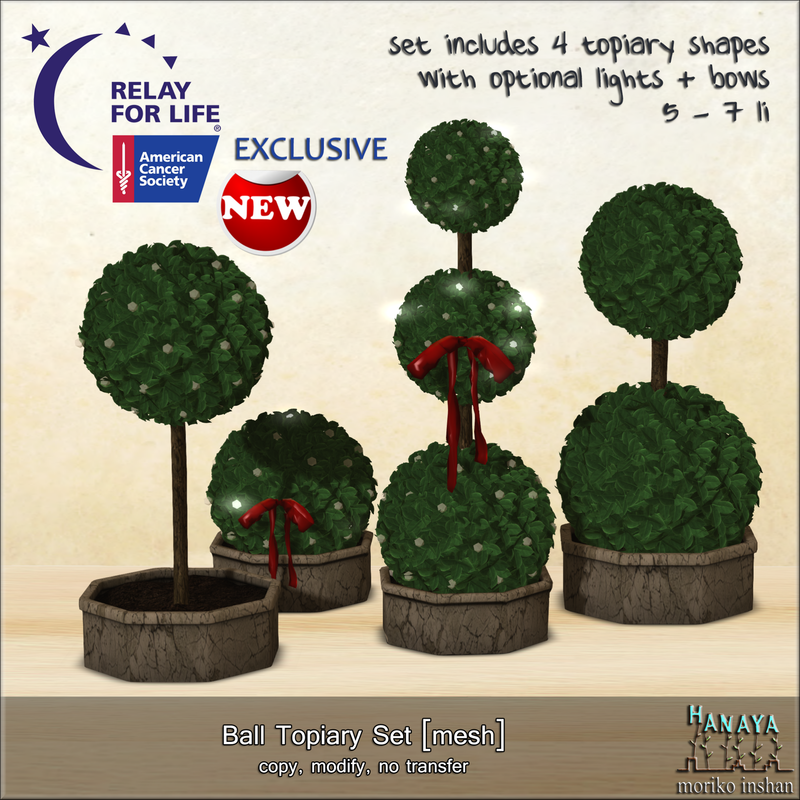 The -Hanaya- team is excited to be participating in the Relay for Life Home & Garden Expo, an event that raises money for the American Cancer Society. 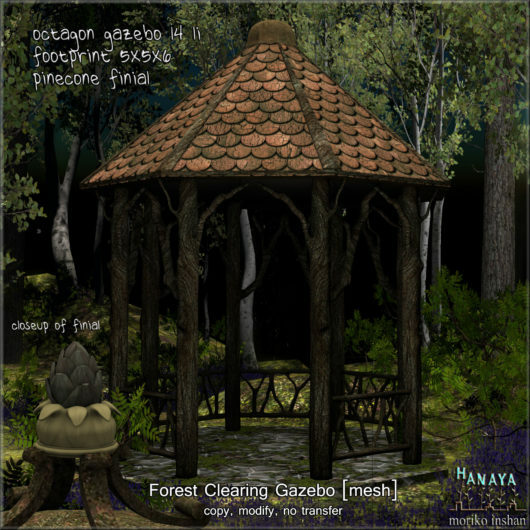 Part of the new collection is the Forest Clearing Gazebo – meticulously textured to fit in foresty, naturey environments. 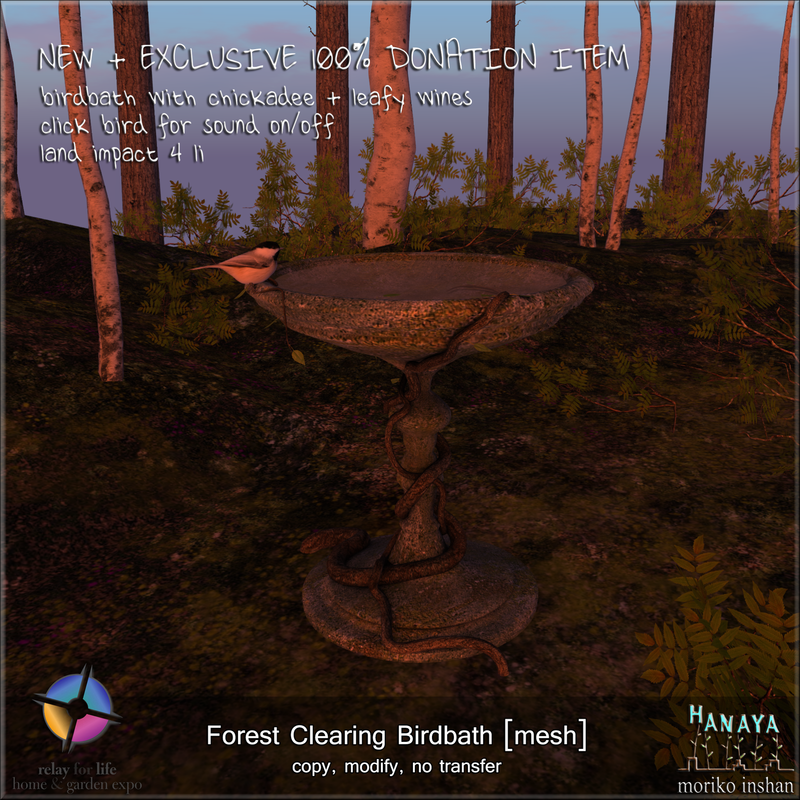 Land impact 14 at provided size of 5 x 5 x 6, which is big enough for a human sized table and 4 chairs. 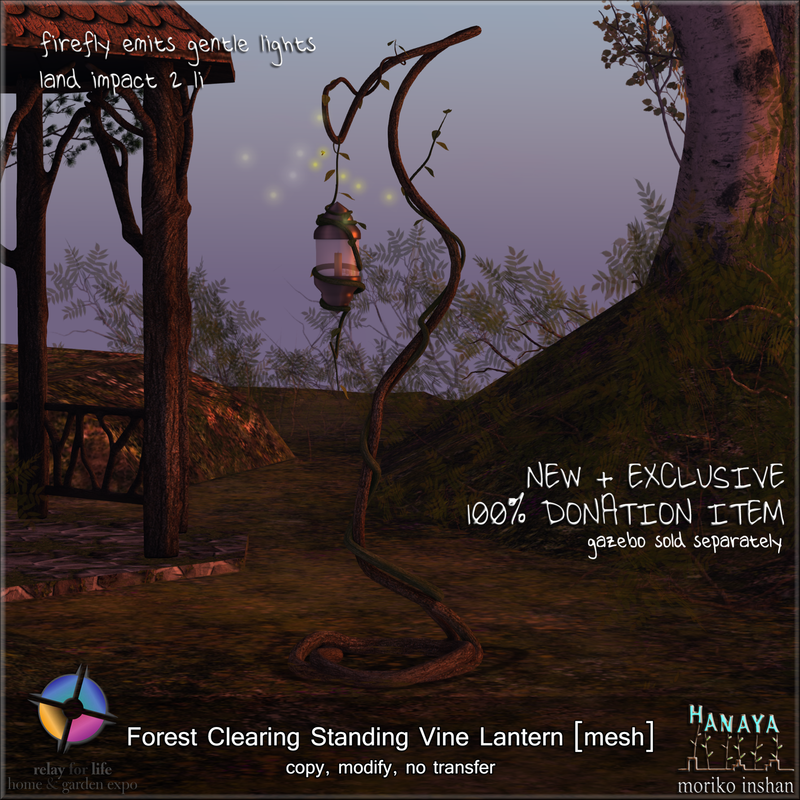 The Forest Clearing Birdbath and Standing Vine Lantern are 100% donation items. 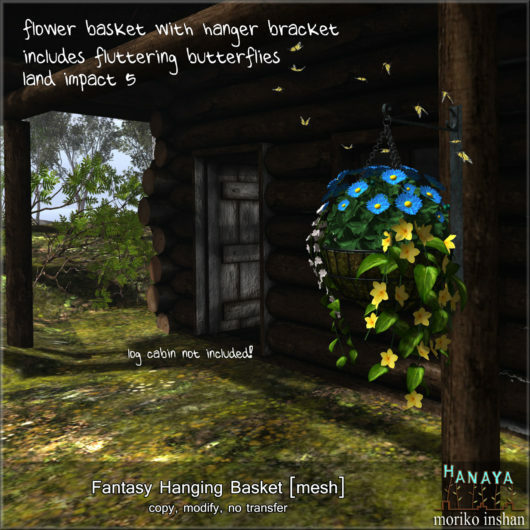 So please stop by, and buy one of each – it’s a super good cause. So pop by and visit us at the Expo, take part in some of the great music events, hit the gatchas and have fun! This entry was posted in Events, Product Announcements and tagged -Hanaya-, ACS, American Cancer Society, RFL Home & Garden Expo, Second Life, SL on February 19, 2016 by moriko. 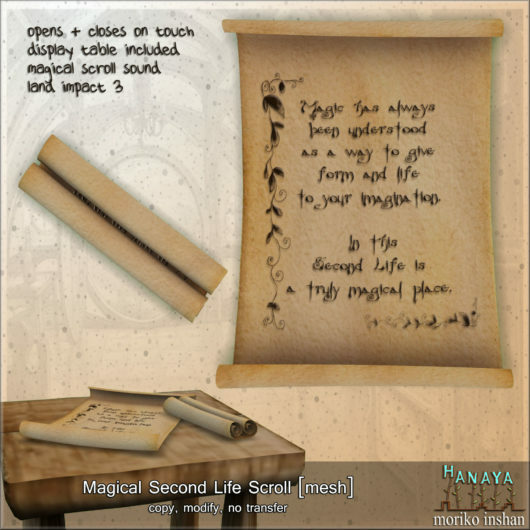 the 2015 Second Life Christmas Expo. A festive version of our popular greenhouse, all dressed up for the holidays. 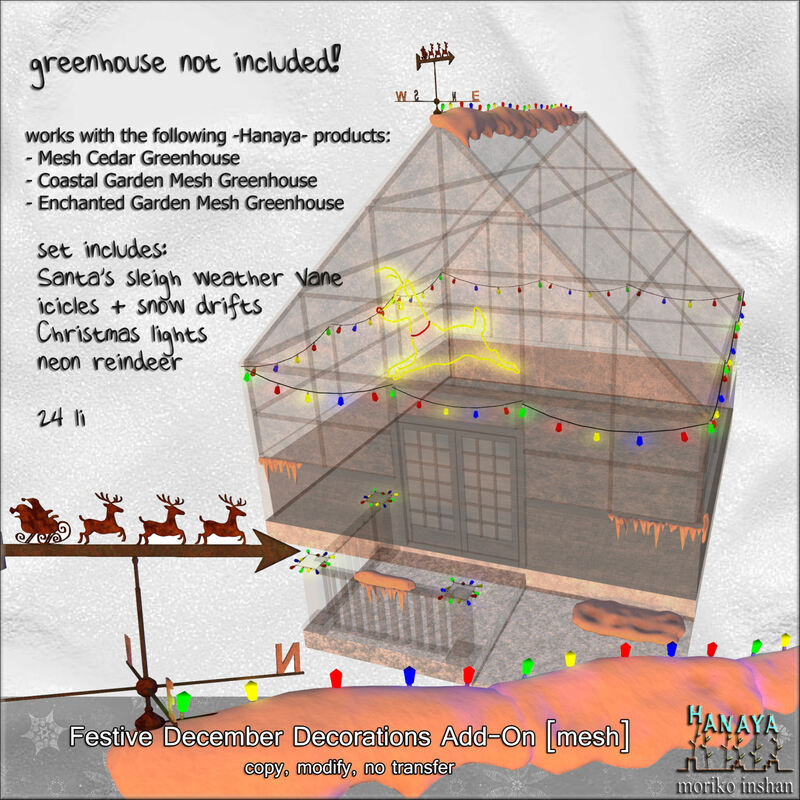 And if you already own one of our greenhouses – then just grab the add-ons pack. 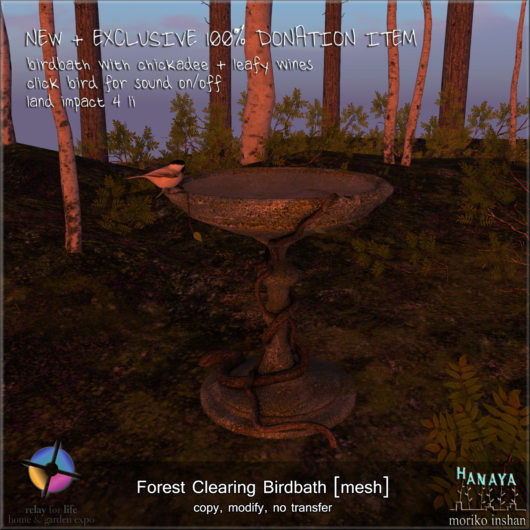 These and all other recent releases are on display at -Hanaya- in-word store, are available on the Second Life Marketplace, as well as at the 2015 Second Life Christmas Expo. When you buy our stuff at the Expo, half of your purchase cost is donated to the American Cancer Society. 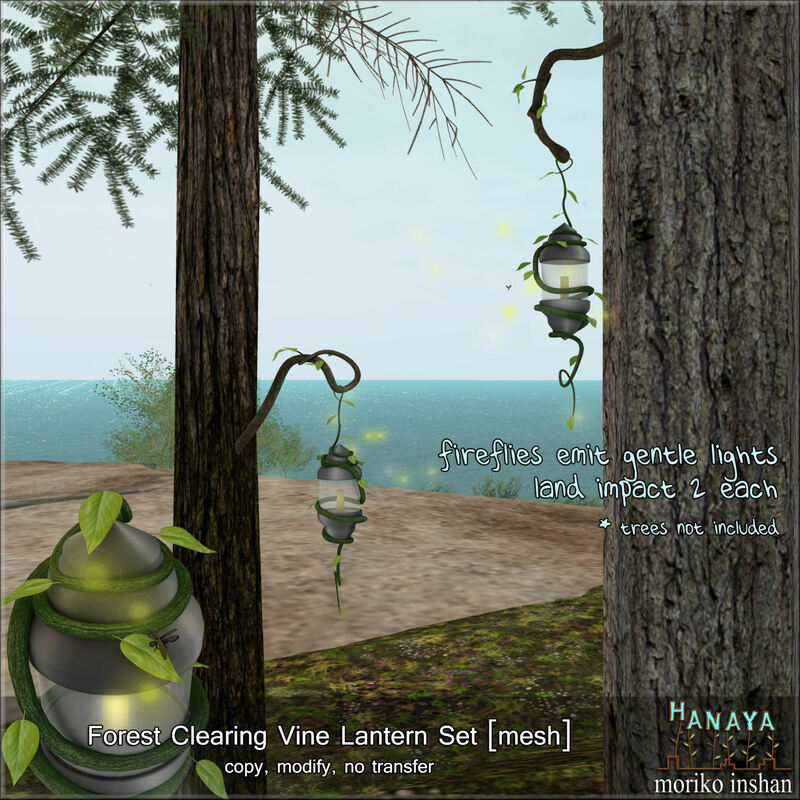 So come visit -Hanaya- at the Frozen sim – the event starts today! 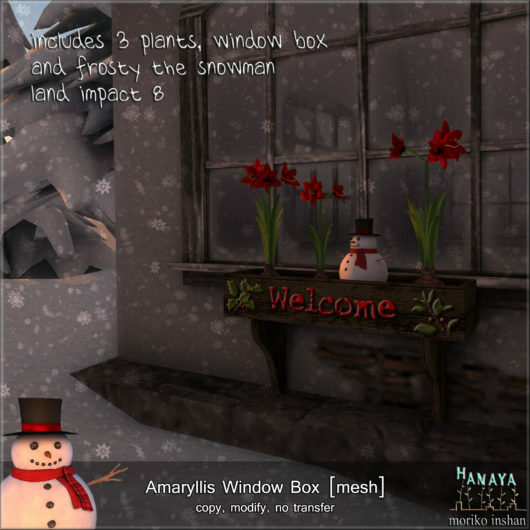 This entry was posted in Events, Product Announcements and tagged 2015 Second Life Christmas Expo, American Cancer Society on December 3, 2015 by moriko.